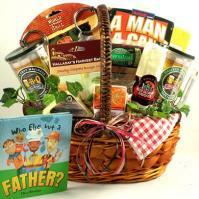 Adorable Gift Baskets delivers gift baskets to NH for holidays and all occasions. Gift baskets themes include such occasions as birthday, get well, new baby, thank you, sympathy, housewarming, corporate and personal events and contain products such as gourmet food, fruit, coffee, tea, chocolates, snacks, cookies. Whether it's for a special gift-giving occasion or just a gift to say "Thinking of You," NH gift delivery by Adorable Gift Baskets can simplify your gift buying with the click of a mouse! There's probably at least one person in your life of which you have fond memories. Perhaps you have a favorite aunt or uncle...or a grandparent you miss very much. If you've been surfing the Web a while to find a delightful gift for your friend or loved one in New Hampshire, you need look no further. There's a unique NH gift basket for everyone at Adorable Gift Baskets. We want you to have a fun, relaxing shopping experience as you browse our selection of beaming New Hampshire gift basket arrangements. Each gift basket sent to New Hampshire represents a theme, with either mouth-watering foods or creative gifts at the center of its decor. The brilliant designs of our NH gift baskets are not only appealing to the eye but are sure to make your loved one feel warm and cozy on the inside. Are you eager to surprise your favorite friend or relative with an elegant gift? Our NH gift delivery service makes it easy to secure just the right gift. Does your recipient enjoy salty snacks? Try our New Hampshire snack gift baskets filled with salty treats such as chips, crackers and pretzels. Some our our gift baskets contain popcorn and nuts, which are sure to hit the spot while watching a favorite movie or sports event. Chocolate gift baskets sent to New Hampshire are perfect for chocolate lovers and the one who loves sweet snacks. From scrumptious chocolate cookies, Godiva chocolates, to Ghirardelli chocolate bars, there's a savory snack for everyone on your gift list. Gift baskets delivered to New Hampshire can feature fresh fruit or even no food at all. Adorable Gift Baskets features many baskets stuffed with items such as baby gifts, books or even pamper bath, spa and candle products to help them relax. For winter occasions, gift baskets sent to New Hampshire can feature herbal tea, cocoa or delightful gourmet coffees to warm the heart. In spring and summer, gardening baskets and Easter baskets are popular choices. For fall, delight your loved one with a harvest-themed Thanksgiving gift basket. We also carry a variety of anniversary gift baskets delivered to NH with a romantic theme. These feature inspirational books for lovers, chocolate body frosting, candles, sparkling cider and more! A spark of romance wrapped in a luxurious NH gift basket is sure to surprise the happy newlywed couple. New Hampshire was the 9th state to be granted statehood - June 21, 1788 . The state flag was instituted in 1909. The capital of New Hampshire is Concord. New HampshireÌs official insect is the ladybug. New HampshireÌs official gemstone is Smoky Quartz. New HampshireÌs official flower is the Purple Lilac. New HampshireÌs official wildflower is the Pink Lady's Slipper. New HampshireÌs official bird is the Purple Finch. New HampshireÌs official tree is the white birch. New HampshireÌs official amphibian is the Spotted Newt. New HampshireÌs official animal is the White-tail Deer. New HampshireÌs official butterfly is the Karner Blue. New HampshireÌs official fish is the Brook Trout. New HampshireÌs official mineral is Beryl. New HampshireÌs official rock is the granite. New HampshireÌs official sport is skiing. There are 10 counties in the state of New Hampshire. New HampshireÌs official motto is "Live free or die ". New HampshireÌs nickname is "The Granite State."